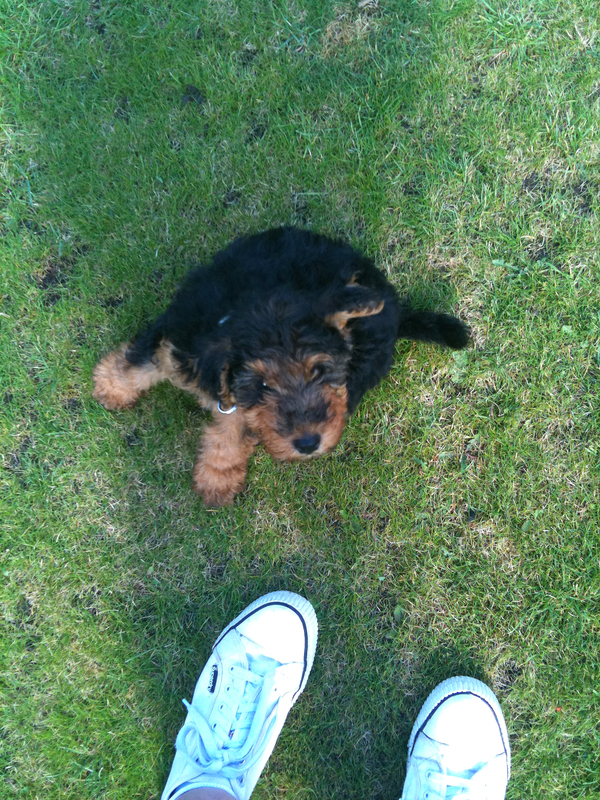 A New Member of the Family – Introducing Baxter! You lookin’ at me kid? It is in Whiskey’s case because he is such a lovely well behaved boy – I think Edwyn would lead him astray!! So have they bought a Welshie pup because they’ve been so impressed with Edwyn over the past few years? Ha ha, I think not! No, Rachel, my brothers wife’s Dad is a real terrier man, she was brought up with Terriers and really loves them, and Whiskey is such a gentleman. She is going to be starting a grooming business, so she will have two willing models to practice on!